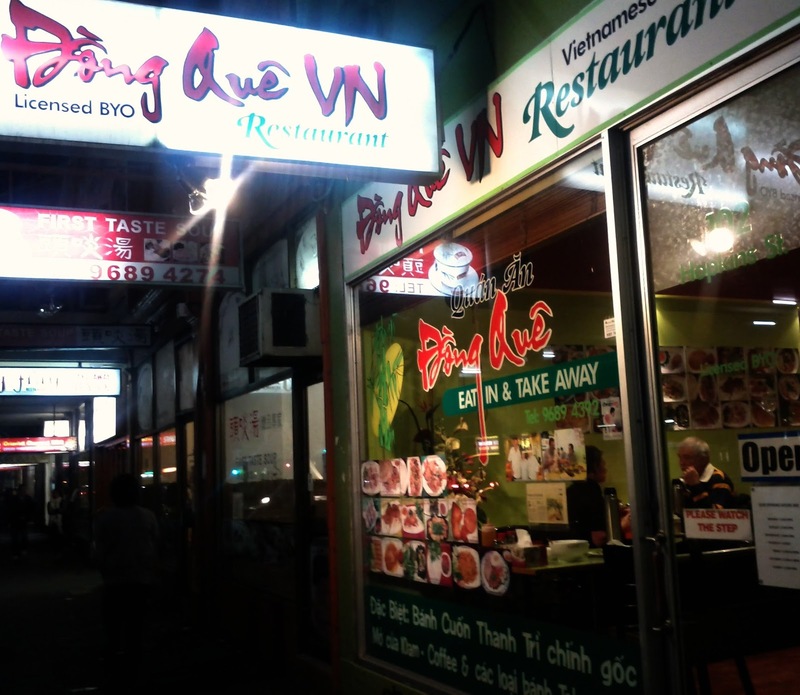 Dong Que was the one restaurant spot on the Rickshaw Run I hadn't visited before. So it went on to my must visit local restaurant list, which seems to be growing faster than I can chip away at it at the moment, with all the recent Footscray openings... Nestled amongst the string of restaurants lining Hopkins Street, opposite Footscray market, the small frontage doesn't jump out, but does feature enticing photo's of the food on offer inside. 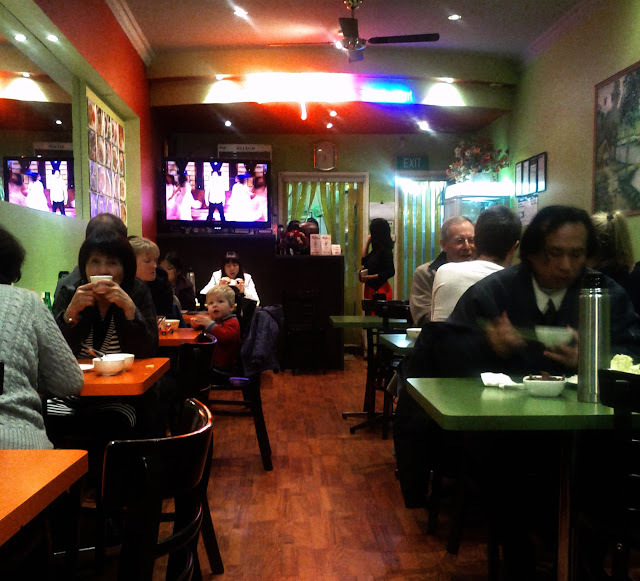 The interior isn't as modern as some of the local competition, featuring a TV showing singing and dancing while we were there and some neon, with older but very clean tables. 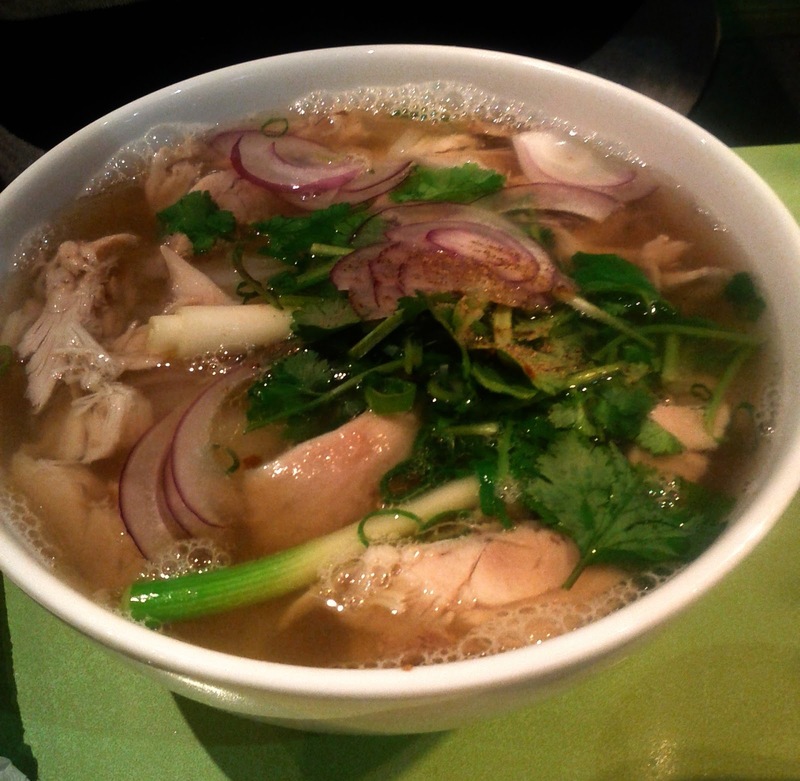 It was pretty busy when we were there on a Sunday evening, and once we had a table we began perusing the menu, which again displayed photo's of the dishes in the first few pages before listing a wide variety of soups, noodle and rice dishes with some other options too. 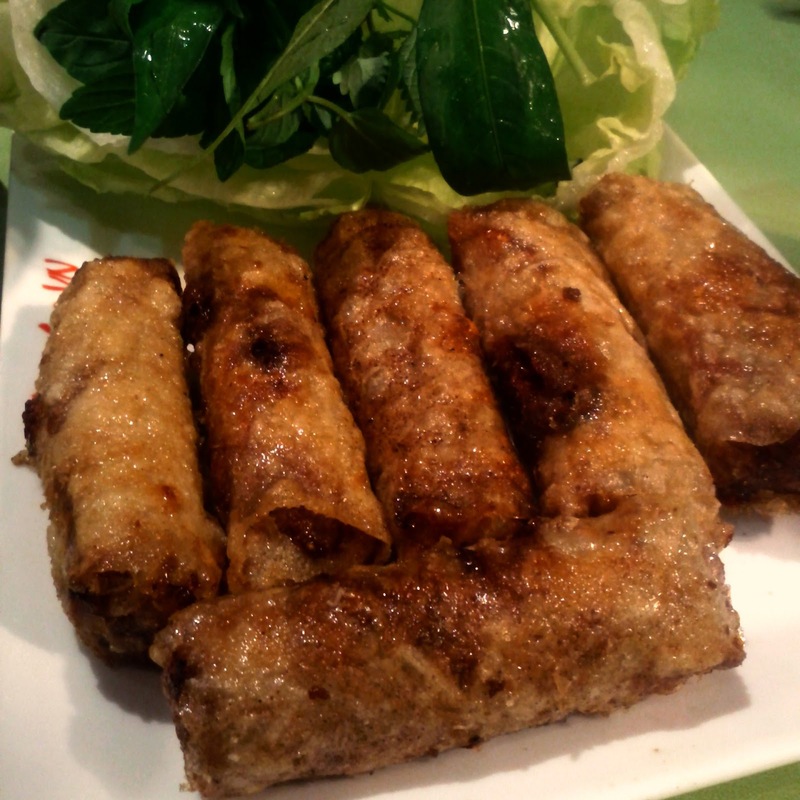 We shared the house speciality of the traditional vietnamese spring rolls, served with herbs and iceberg lettuce and a bowl of dipping sauce each, which meant no worries about double dipping! The roll casings were crunchy and a bit more textured than the normal versions, and the contents was probably a bit more meaty. The Pho Ga looked good, but the flavour of the broth veered away from our preferences and the chicken wasn't particularly plentiful and was of variable quality. 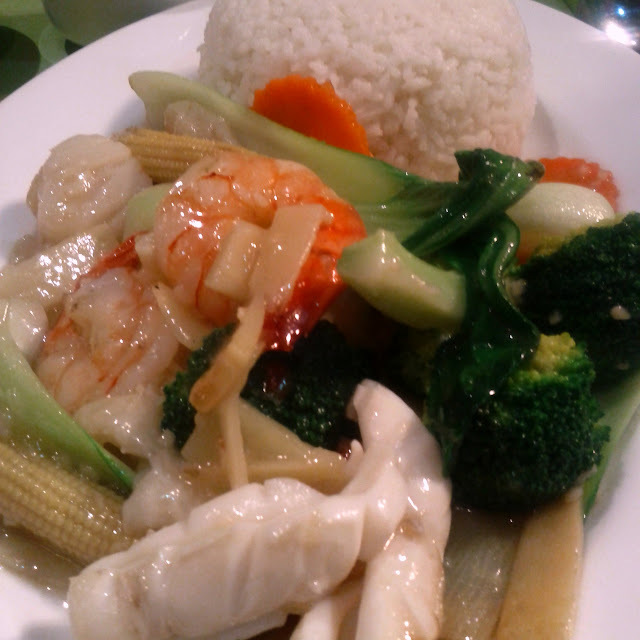 The stir fried seafood with veggies and rice featured 2 pieces each of fish, squid prawns and scallops, along with some fresh vegetables.